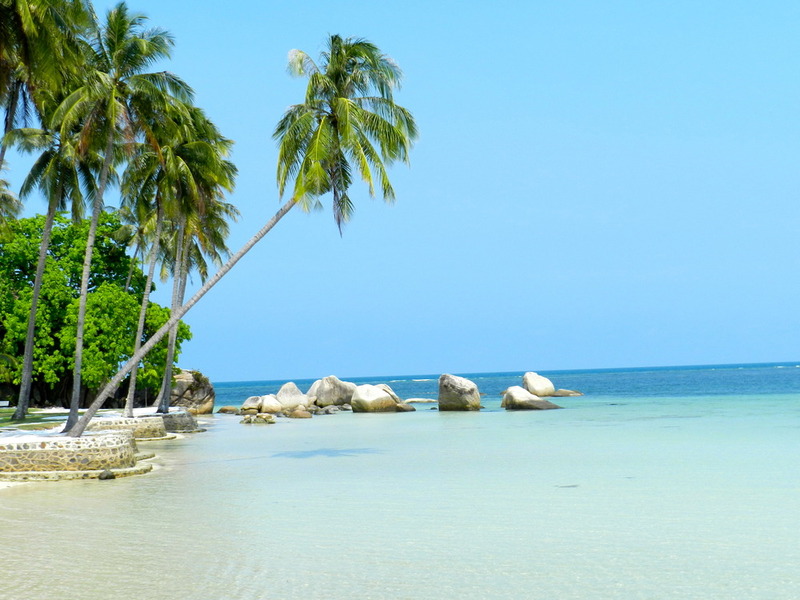 Be right back Singapore, Bintan Island Indonesia here I come! After a great few days in Singapore, it was time to take a “commercial break” and head over to Bintan Island, Indonesia for 3 days. 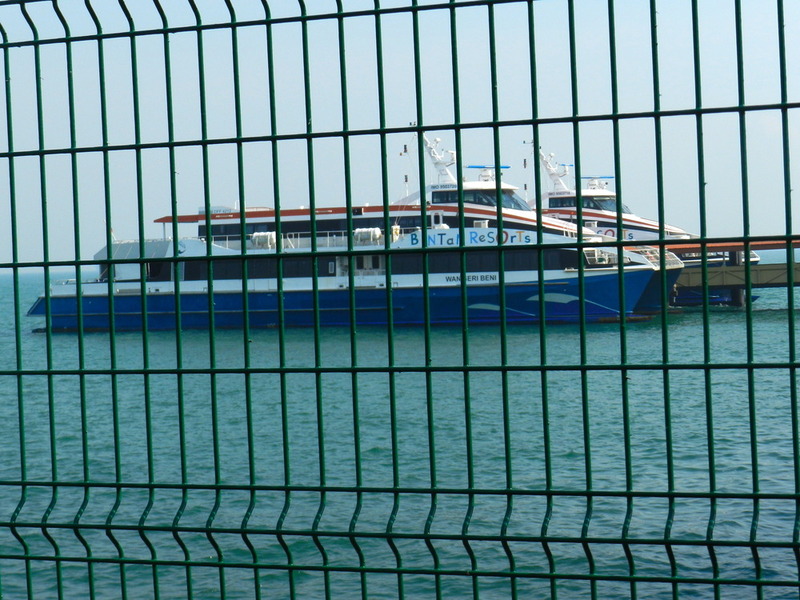 On Monday morning, we made our way to the Tanah Merah Ferry Terminal for our 2pm departure time. Rushing to make our ferry, we jumped into a cab and made it to the terminal by 145pm. Due to a bit of confusion after arriving, we were pushed back to the 5pm ferry as Justin’s passport # didn’t match on his boarding pass. Silly boy. For SGP $20 a night, we didn’t hold too high of expectations for the room we would be staying in for our trip. 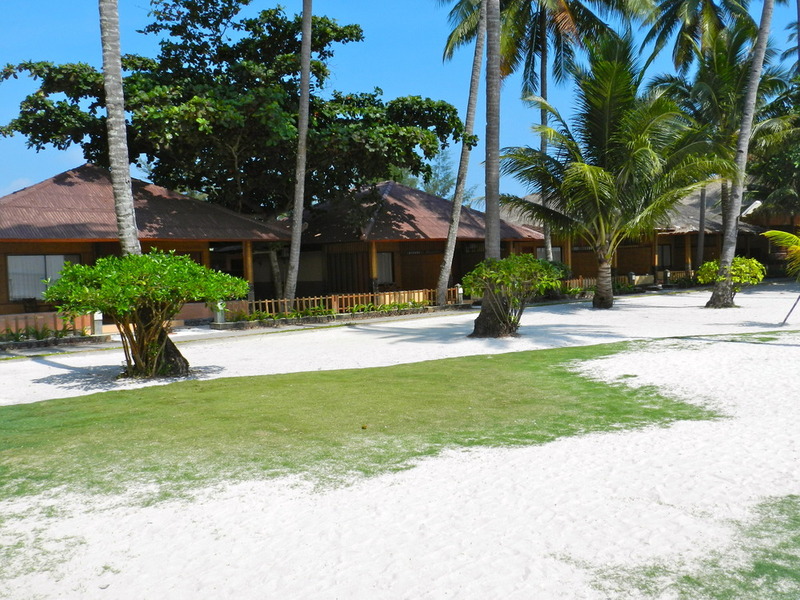 Bintan Cabana Beach Resort was the name of the resort that we chose. It was much nicer than both of us expected. Since it is a “down” time in the resorts bookings, as Chinese New Years is coming up on the weekend, the room we found off “hostel world” was one of their nicer rooms. Our room had two twin beds, a bathroom, TV, and a patio that walked out onto the beach. Goodmorning Indonesia! Its bright and early, and it’s finally time to explore this resort further in daylight! The water level in the morning is very low, and you are able to walk quite far into the “ocean” without getting wet. As the day goes on, the water level raises rapidly and within a metre from shore the water is up to your knees. 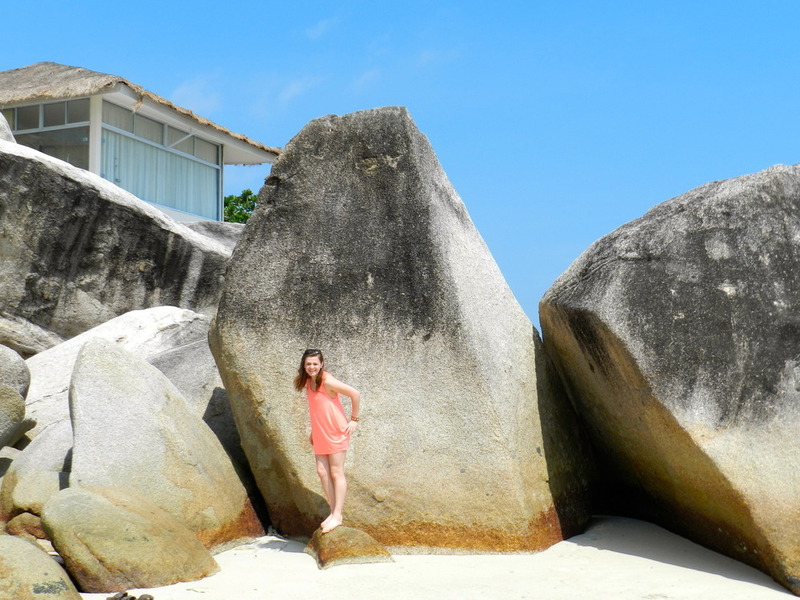 Around the corner from our resort was a sea of rocks.. a perfect opportunity for climbing and a photo.. duh. 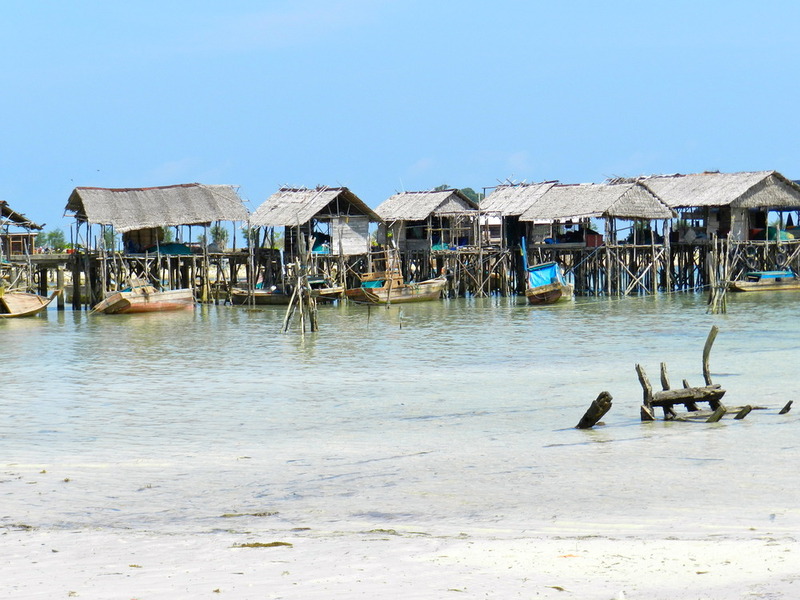 Next, we saw a fishing village in the distance. It looked like it was abandoned, but Justin believes it is still used quite frequently. At this point in the day, I didn’t notice how strong the sun was, and I underestimated the chance I could get seriously burnt.. woops. After our small tour, we headed to the pool for the “afternoon.” After lounging by the pool for about 1 hour I noticed I was starting to seriously burn. Trying to cover myself by the little bit of shade in the area didn’t seen to help. 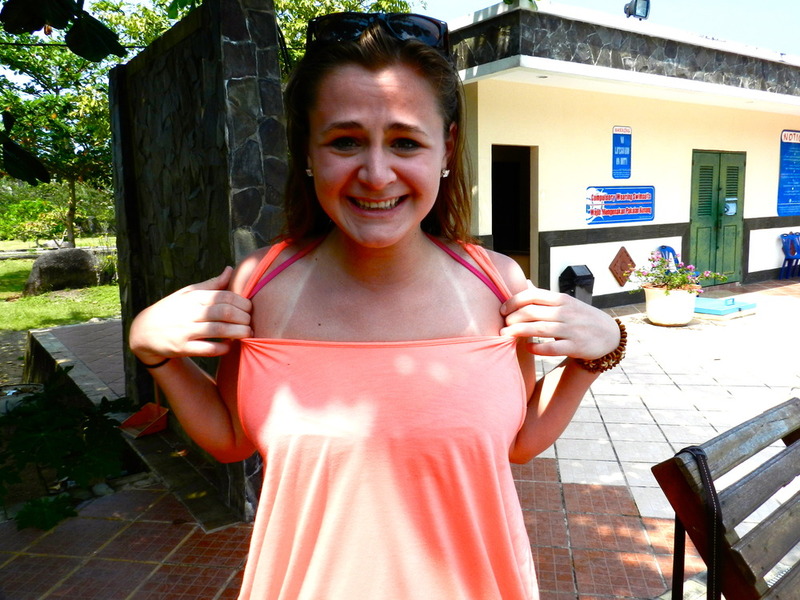 The Indonesian sun got me good, and it was time to head inside for the remainder of the day. Nothing like a 4 hour nap before dinner time… on the menu, BBQ Chicken Pizza! Wednesday morning came a lot faster than both of us wanted/expected. 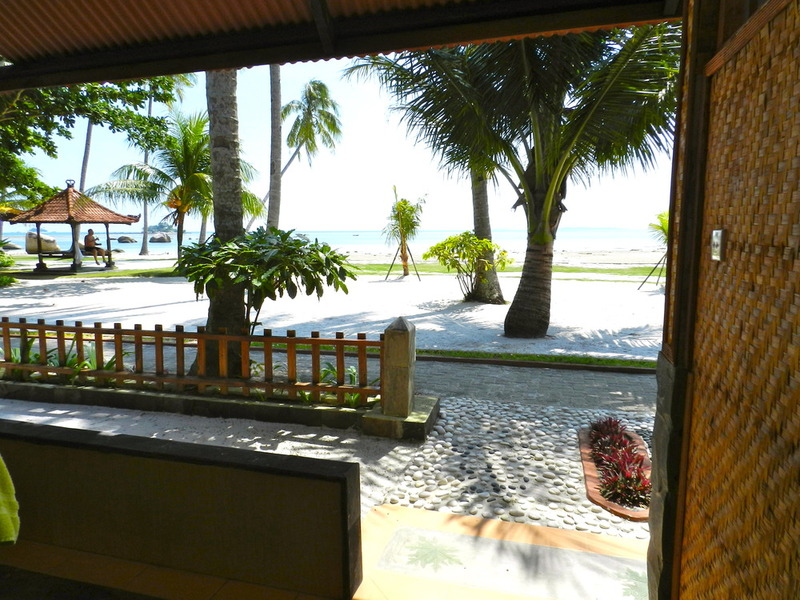 After waking up at around noon, we decided to take advantage of the free shuttle service to the “sister” resort called Bintan Agro Beach Resort which was a short 10 minute drive down the road. 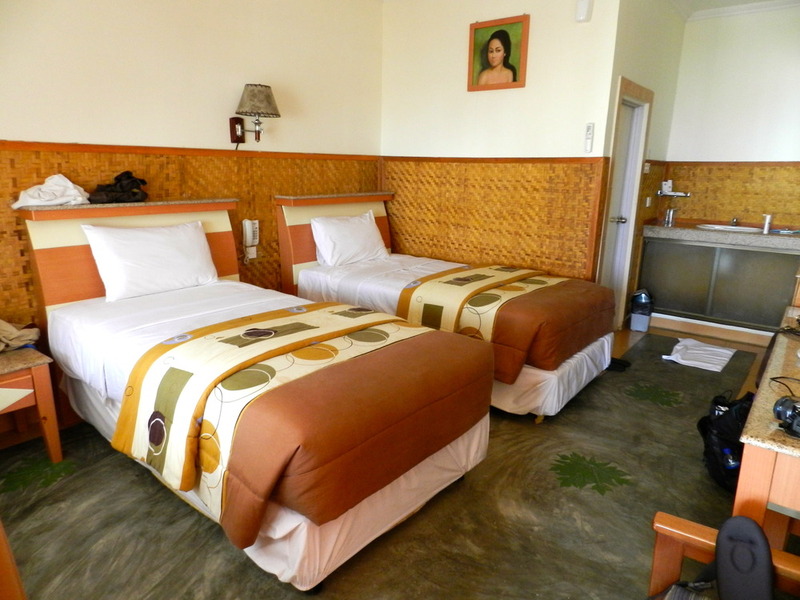 This resort is known to foster a more “family” oriented feel, as it provides various water sports, and activities. After we toured around the resort, we realized we lucked out by picking our resort over this one. We caught the next shuttle bus back to Cabana, so we could chill out before our City Tour of Indonesia in the evening. 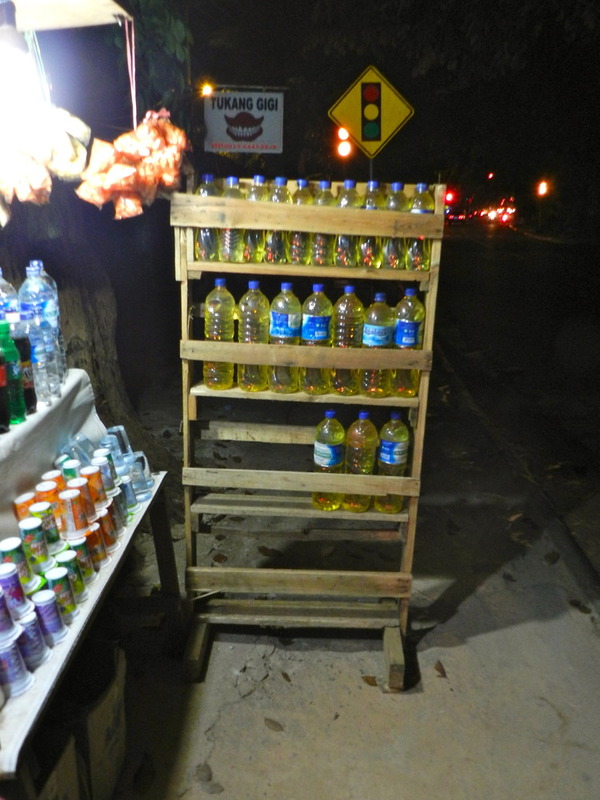 Gas for Motorcycles were sold in large water bottles. They were sold by your everyday street vendor. Children as young as 5 were working the street shops. I purchased a bottle of juice and this little boy gave me my change. For a iced tea it was 6,000 rupiah, which equals about $0.84 Canadian. There is no such thing as being “stuck in traffic.” People whiz inbetween each other to get to where they need to go. Since the majority of the population drive motorcycles, they are able to accurately predict where pedestrians are going to be, and how they can drive past/through oncoming traffic. Also, there is no such thing as “seatbelts” in shuttle buses. Dogs and cats roam the streets everywhere. I should be a “local” attraction to the town of Indonesia. I had locals cheering, screaming, laughing, pointing, waving, and nudging their friends to look at me cause I am caucasian. It was quite funny, its most likely true that I was probably one of the only caucasian people they have seen, other than in the movies in this specific city. 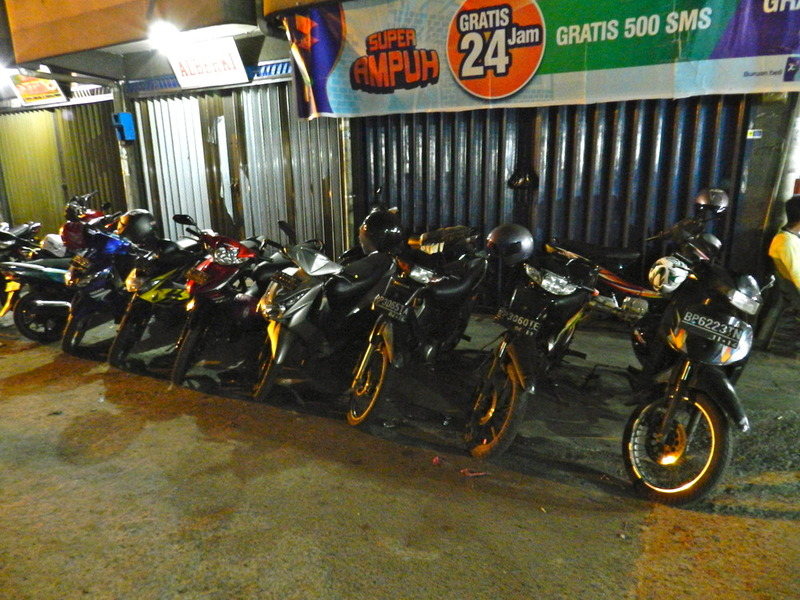 I took 250,000 rupiahs out of the ATM. That converted to $26CDN. Crazy eh? As 11pm struck, it was time to board the shuttle bus back to the resort for the night. It was going to be an early morning as we had to catch our ferry back to Singapore at 930am. Other than the sunburn, Indonesia was amazing. 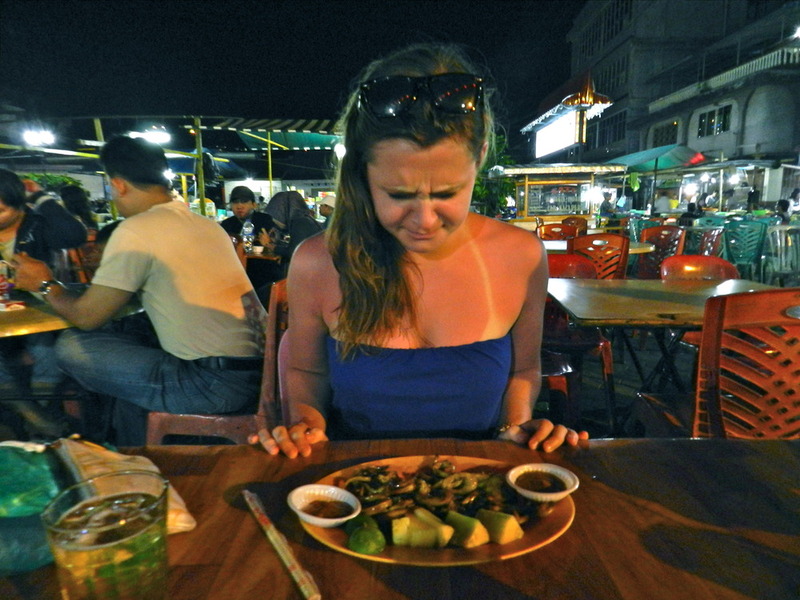 It was a huge culture shock when we went into the city, but it was so nice to see a different way of living. The hospitality provided by the resort workers was exceptional. They truely appreciated and charish every guest that steps foot on their property, and they make sure they have the best experience and stay possible. The taste of Asia, really has got me intrigued on where else I would like to visit and travel to later in my life. I am now safe and sound back in Singapore for the remainder of my time in SE Asia. The plan for the evening is not yet set in stone, but I may be headed back over to Nanyang to hang out with Lianne and the girls, or I may go to Justin’s old residence to meet up with a few of his friends. Oh, how the options are endless. This is me signing off, catch cha all on the flip side!